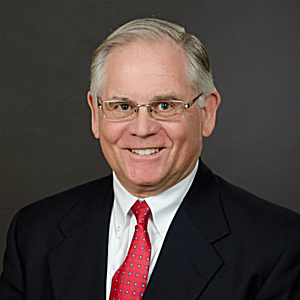 Steve has been a Partner in the Litigation Department for many years and recently became Of Counsel to the firm. His practice is focused on the defense of transportation companies, retailers, and myriad corporate and commercial enterprises. His experience includes insurance coverage matters and related issues. In addition, a substantial portion of his practice has involved self-insured companies or those with large self-insured retentions at every stage of trial and appellate practice. Steve is especially well-versed with the dynamics of dealing with the relationships among the insured, insurer and counsel to achieve the optimal result. He was recently recognized in the Boston Globe as among the region’s “Legal Leaders” and has been designated as a “Top Rated Lawyer in Insurance Law” by the national publications Corporate Counsel and American Lawyer. In addition, he is a member of the American Board of Trial Advocates, which recognizes a lawyer’s experience in civil jury trials together with his litigation expertise and high ranking within the legal profession. He has also received the highest possible Martindale-Hubbell distinction by both his peers and members of the judiciary. During his years with the firm, Steve has tried dozens of jury trials in the state and federal courts and has argued numerous appeals in the Rhode Island Supreme Court and U.S. Court of Appeals for the First Circuit. He is a court-approved arbitrator for the Rhode Island Superior Court and has also served as a mediator for that court since 1996. In representing many bus trucking companies, for example, he has achieved considerable success for his clients. Two cases are representative. Steve defended a bus company regarding allegations of negligence in the operation of a school bus that resulted in a head-on collision with an automobile. The operator of the car was killed, and her parents subsequently filed a wrongful death action against the client company. The jury trial resulted in a defense verdict. He also defended a trucking company in a wrongful death action – after a collision involving a tractor trailer and an automobile resulted in the death of the driver of the car. The case was settled favorably early in the litigation. Steve is a member of the American Board of Trial Advocates (ABOTA) and a past president of the Defense Counsel of Rhode Island. He has served as an elected member of the committee on appropriations for the town of Barrington, Rhode Island for 15 years. He is past president and board member of a local school and the Citizens Scholarship Foundation of Barrington, R.I.
Steve joined Higgins, Cavanagh & Cooney in 1977. He has addressed a number of key issues facing today’s leading law firms in a wide-ranging interview in the Providence Business News.